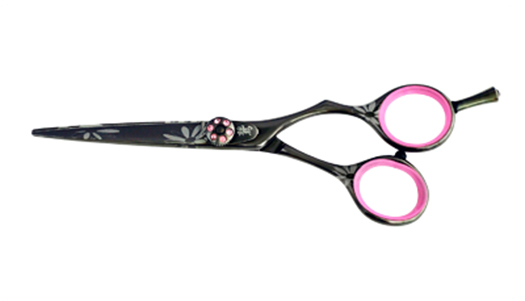 The "Black Magic" titanium hair shear cuts smooth and feels virtually weightless in your hand. Classic off-set handle design ensures a great fit for most stylists. This shear's great features have made it one of our best sellers for 12 years! Shear Size: 5.5" or 6.0"